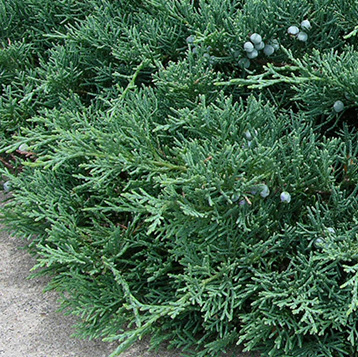 Juniper is a low growing evergreen shrub that provides visual interest year-round. The leaves are needle or fan shaped and green or blue-green in color. Best for locations in full sun. All ground cover options are available under perpetual care only. Please contact us if you need help determing the size of your planting bed. Download the form to order by mail.